It is copyright © Angela Sorby and Jacket magazine 2009. See our [»»] Copyright notice. 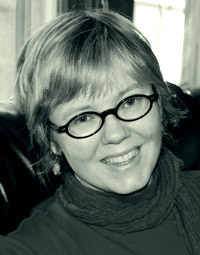 Angela Sorby is the author of two books of poetry, Distance Learning (New Issues, 1998), and Bird Skin Coat (Wisconsin, 2009), and a scholarly book, Schoolroom Poets (UPNE, 2005). She teaches at Marquette University in Milwaukee, Wisconsin.